One of my favorite accessories is a necklace. I really think that necklaces are my favorite piece of jewelry. They are so easy and simple to slip on and yet can make such a change in the way the your look comes together. A while back I thought that longer pendant like necklaces where my favorites and I wasn't really a fan of statement necklaces. I know, crazy right? I love statement necklaces now. They can really work with any type of outfit be it casual, work, or dressed up. I love how the addition of a beautiful statement necklace can make a somewhat tomboyish casual outfit suddenly feminine and chic. Over the past 4-5 months I have gathered quite a collection of necklaces. I have even told myself not to buy any more, but who can resist? My closet is seriously lacking when it comes to statement necklaces. I basically have the one necklace that I wear over and over again. I want to add a few more pieces! I had to warm up to them myself. They can be gorgeous. Statement pieces can take outfits form blah to bam! I love my statement necklaces! 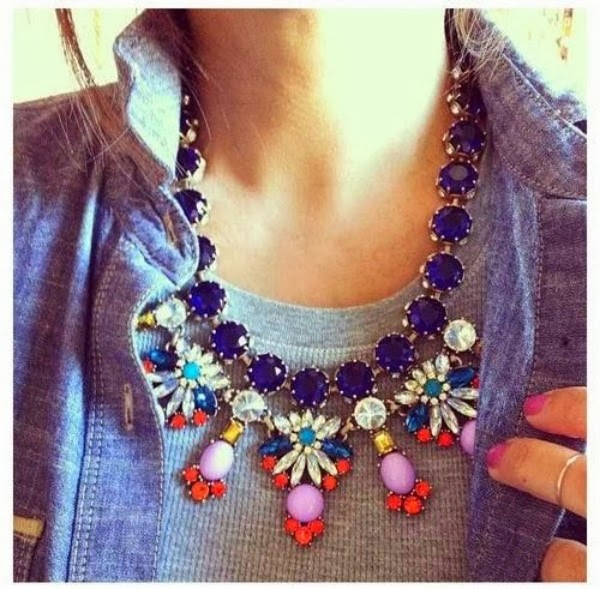 wow those statement necklaces are so amaze! xO! I only have 2 good statement necklace. I want to get a couple more. Pretty necklaces! I love the second picture, where is it from? 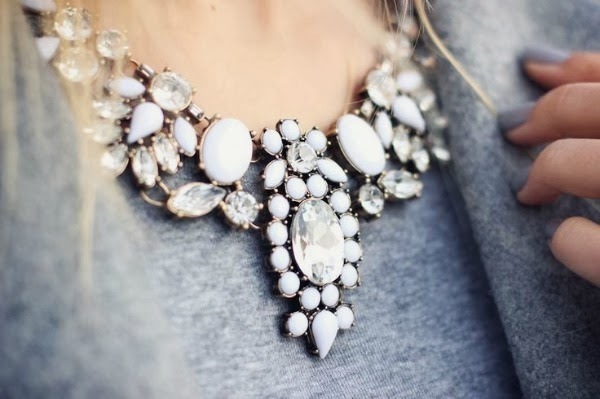 Statement necklaces are so beautiful. I love the one in the last picture!